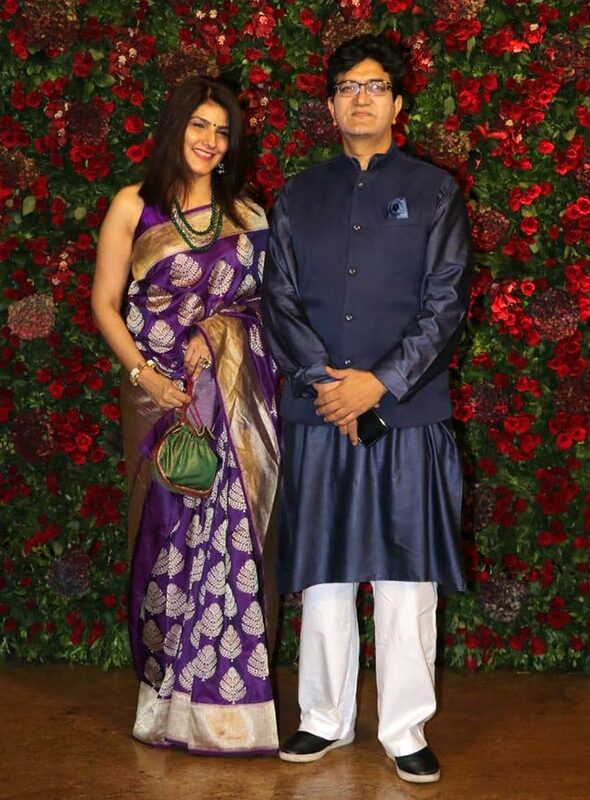 Meet all the interesting couples on a grand evening. 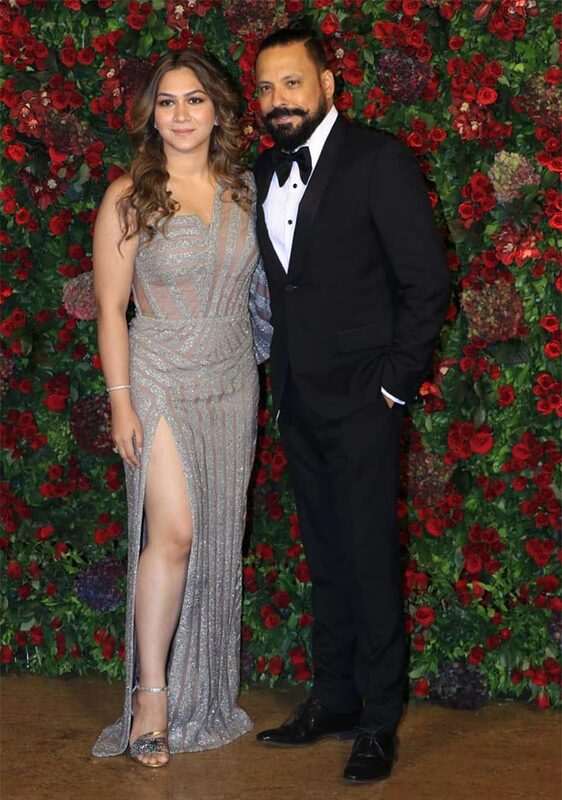 It was raining stars at Mumbai's Grand Hyatt hotel when Bollywood folk attended Deepika Padukone and Ranveer Singh's reception. 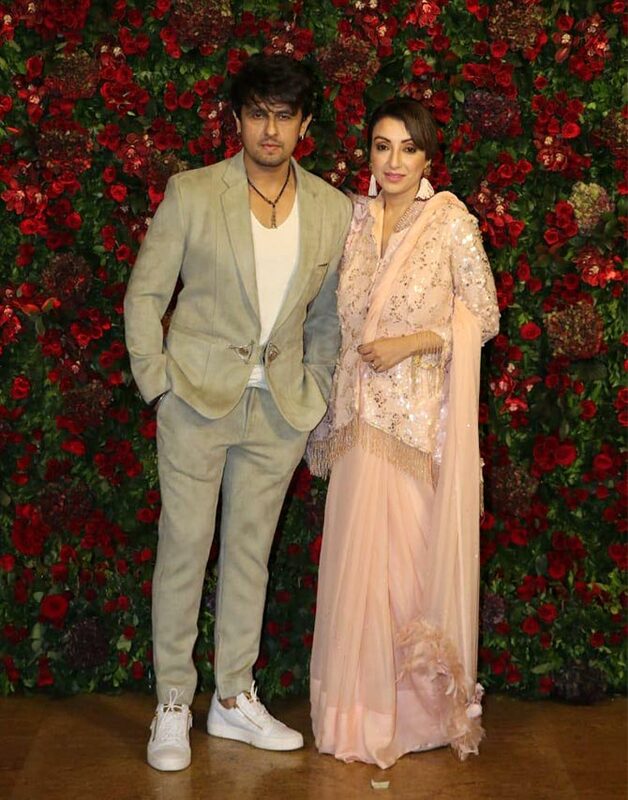 The bridal couple looked gorgeous and some amazing designer wear was on display on the red carpet. 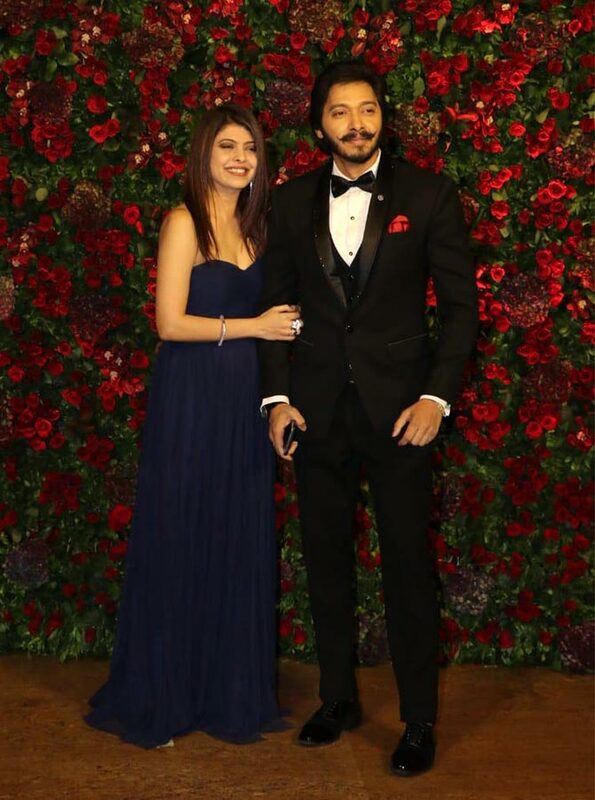 Disha Patani arrives with Tiger Shroff. 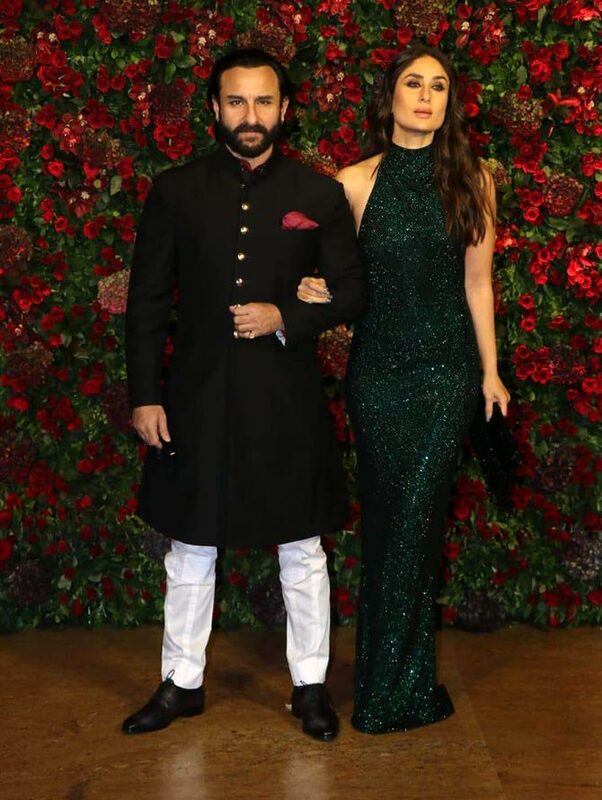 Kareena Kapoor with Saif Ali Khan. 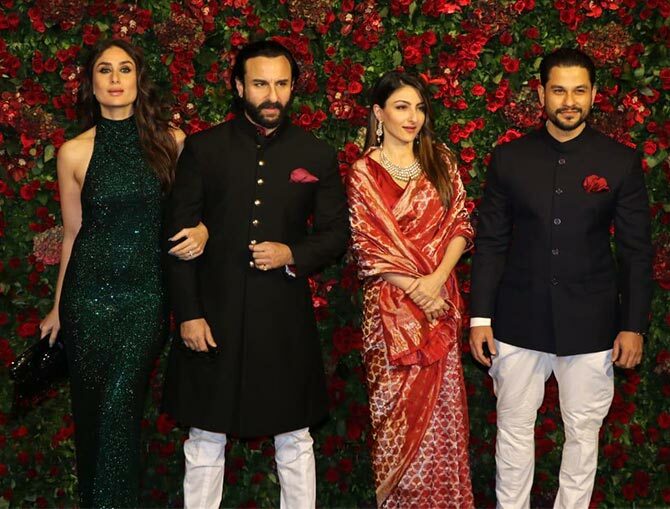 The couple are joined by Saif's sister Soha Ali Khan and brother-in-law Kunal Kemmu. 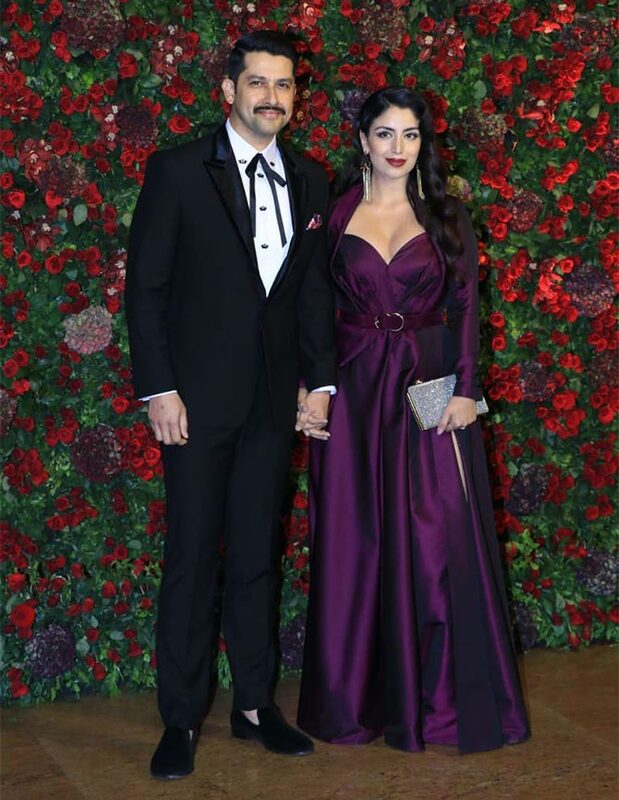 Shilpa Shetty with Raj Kundra. 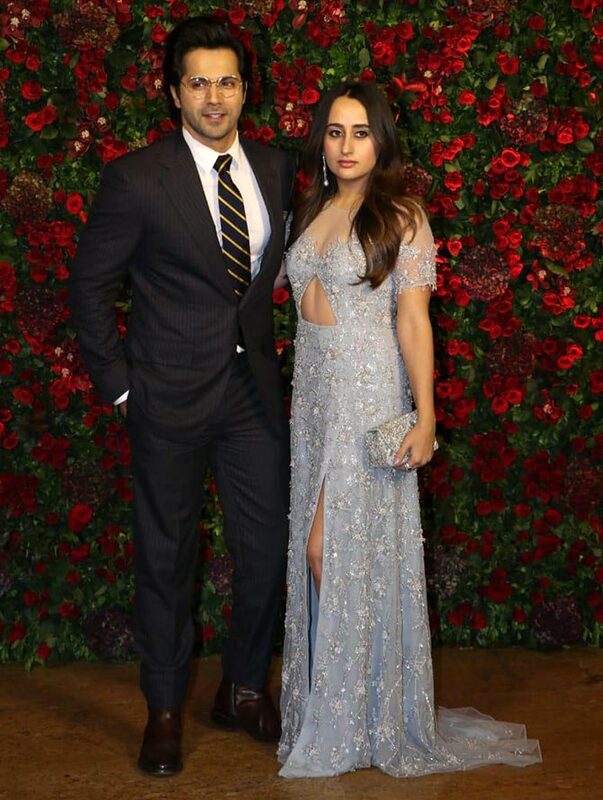 Natasha Dalal with Varun Dhawan. 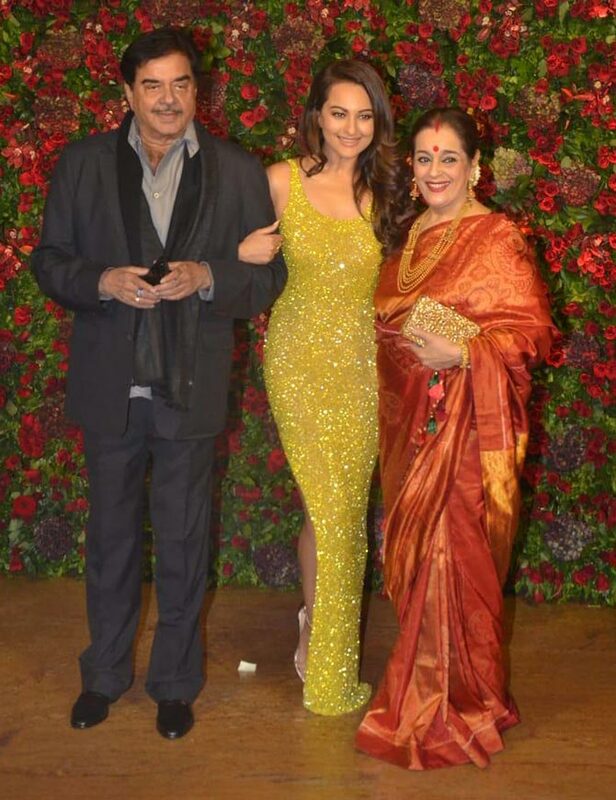 Sanjay Leela Bhansali -- who directed Deepika and Ranveer in three of their most memorable movies, Goliyon Ki Rasleela Ram-Leela, Bajirao Mastani and Padmavat -- finds company in Rekha. 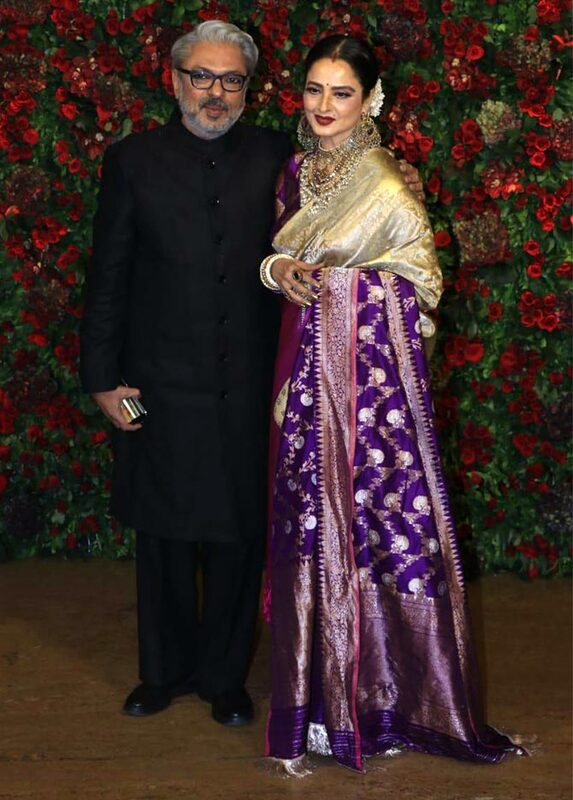 Madhuri Dixit with Dr Sriram Nene. 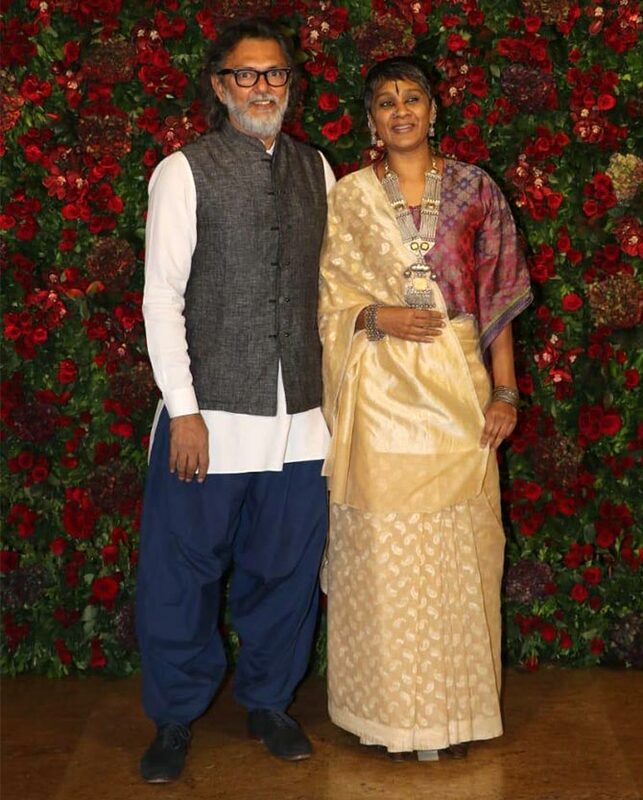 P S Bharathi with Rakyesh Omprakash Mehra. 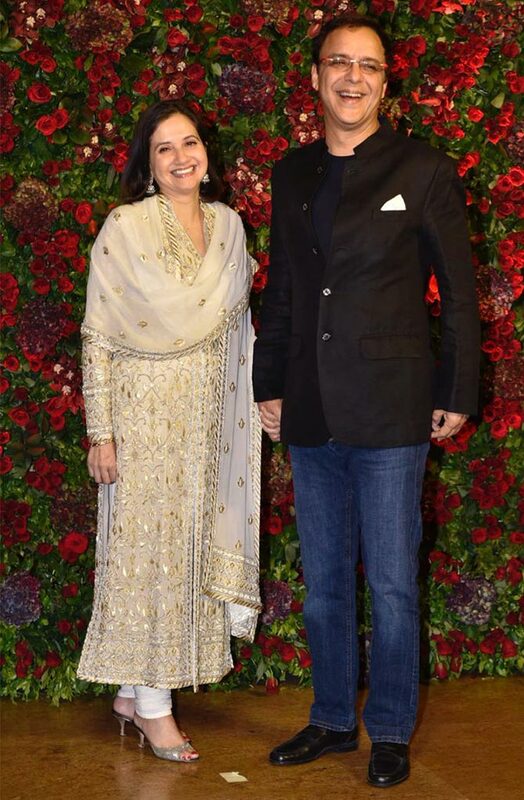 Anupama Chopra with Vidhu Vinod Chopra. 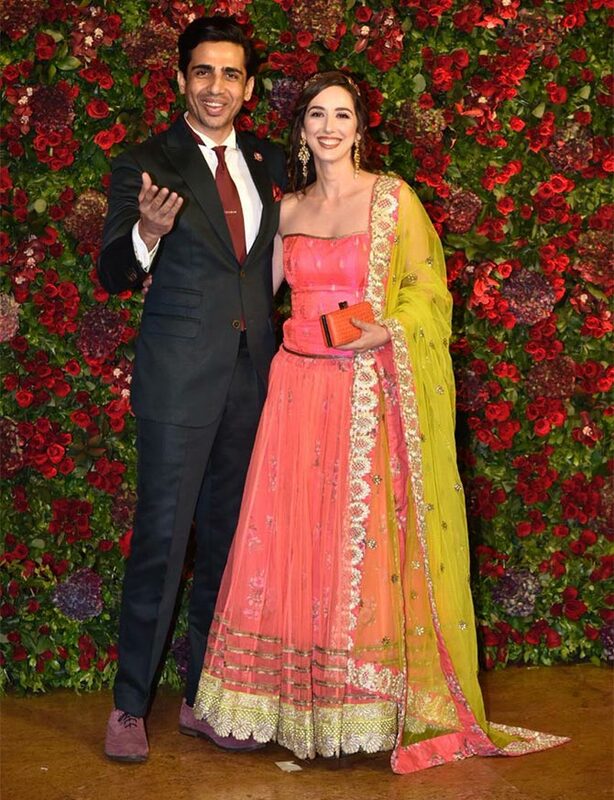 Kalliroi Tziafeta and Gulshan Devaiah. 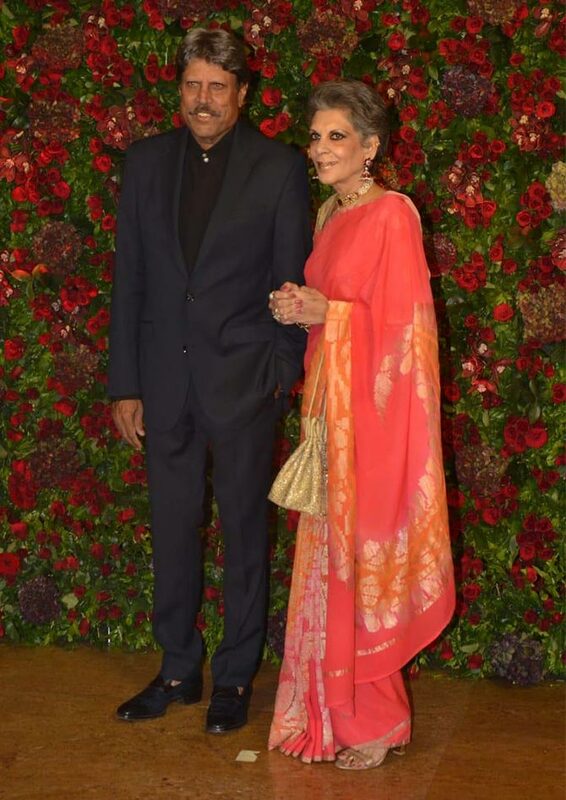 Shabana Azmi and Javed Akhtar were among the first to arrive. 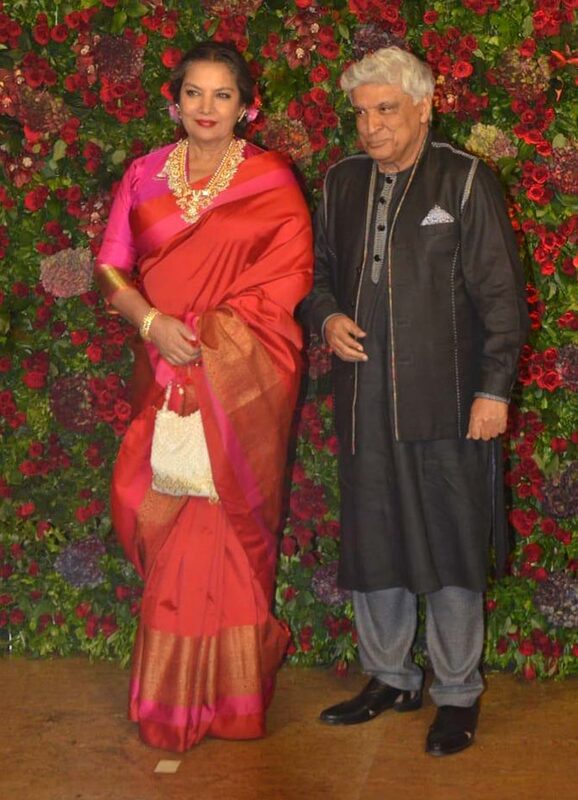 Sarita Birje and R Madhavan. 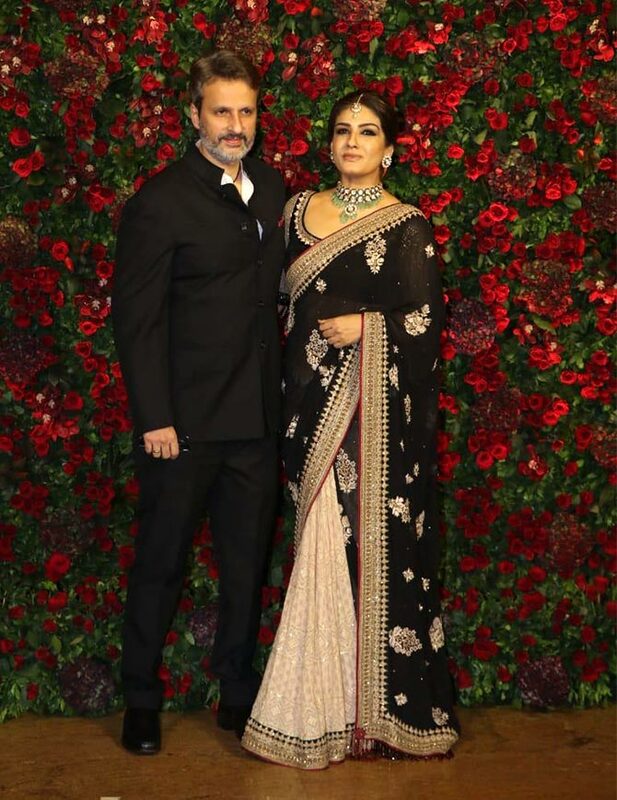 Raveena Tandon colour coordinates with husband Anil Thadani. 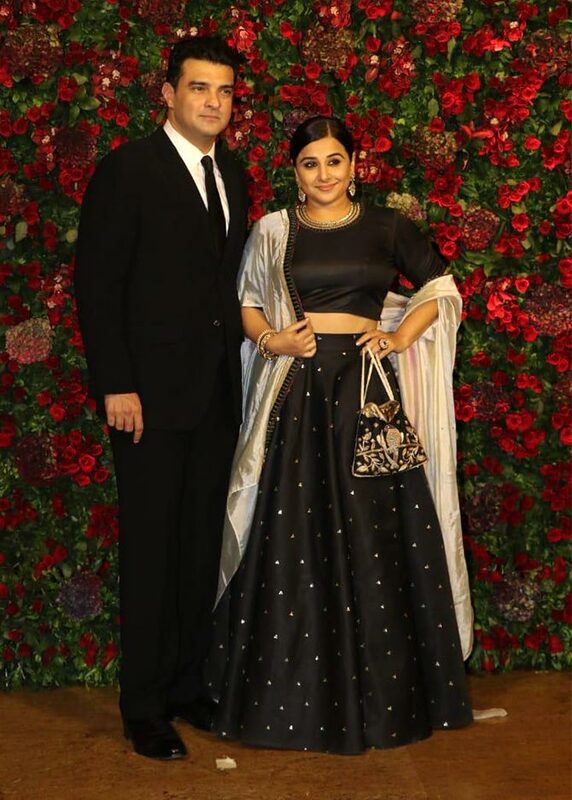 As does Vidya Balan with Siddharth Roy Kapur. 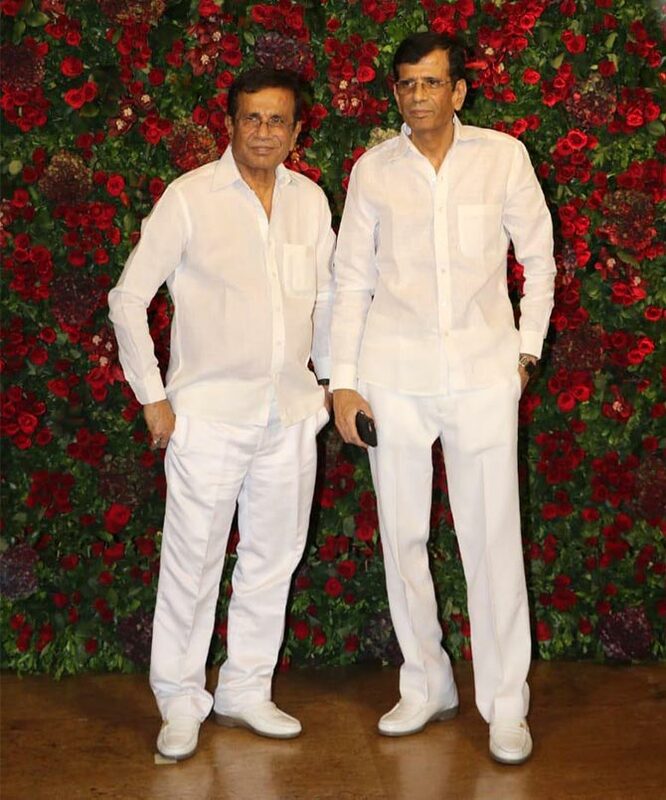 Men in black: Jeetendra with Tusshar Kapoor. 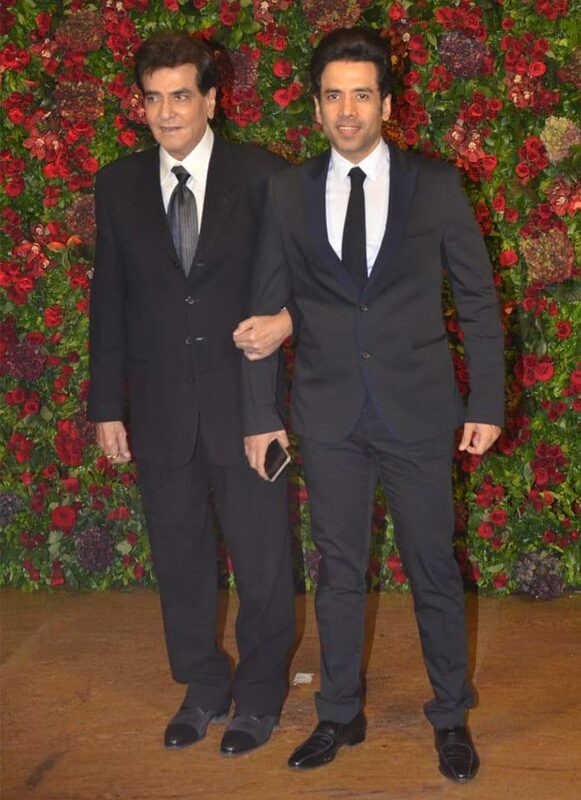 Aftab Shivdasani escorts Nin Dusanj. 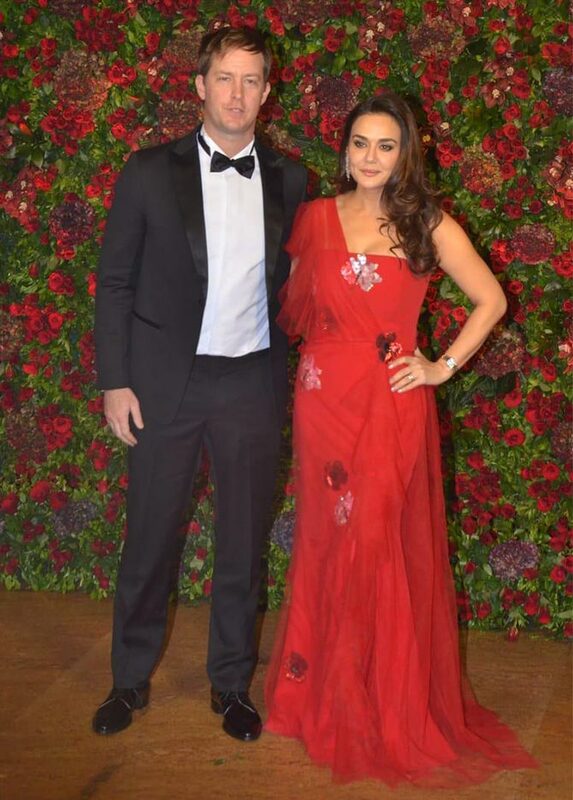 Preity Zinta with husband Gene Goodenough. And it's official! 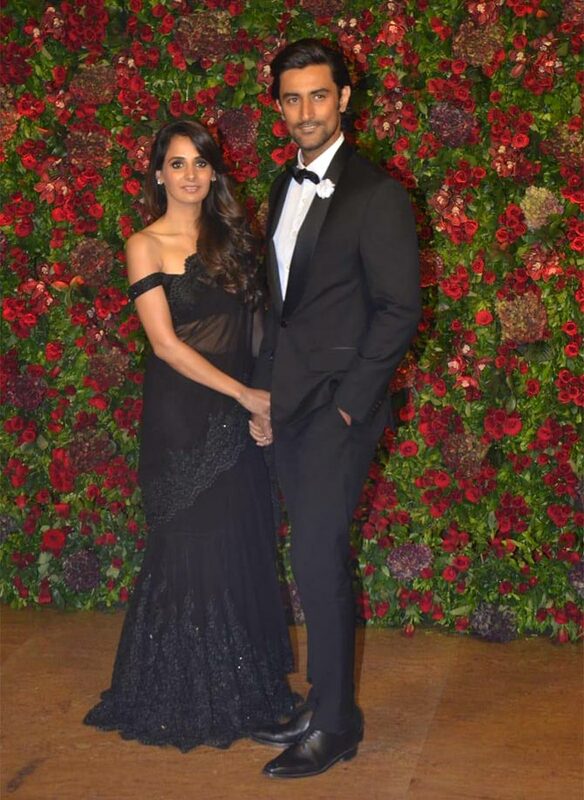 Meet Bollywood's newest couple Shibani Dandekar and Farhan Akhtar. 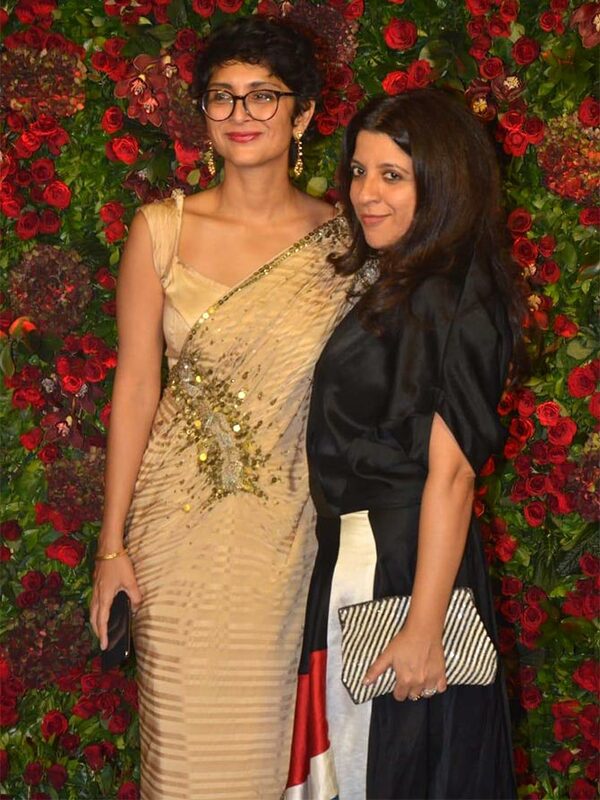 Zoya Akhtar and Kiran Rao. Shoojit Sircar, left, who directed Deepika in Piku, arguably her finest role. 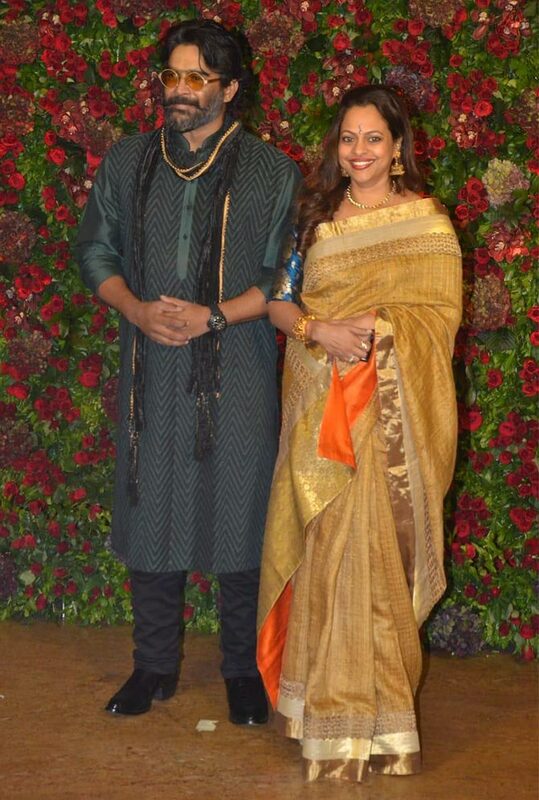 Naina Bachchan and Kunal Kapoor. 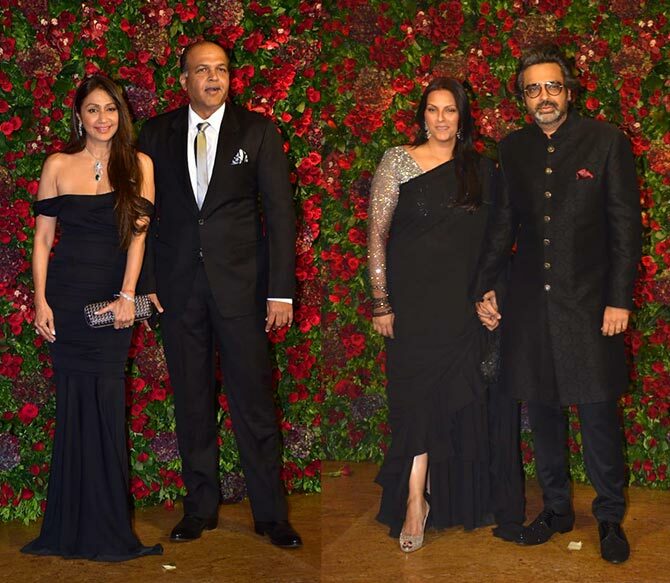 The Gowariker brothers Ashutosh and Avinash with their wives Sunita and Shazia. 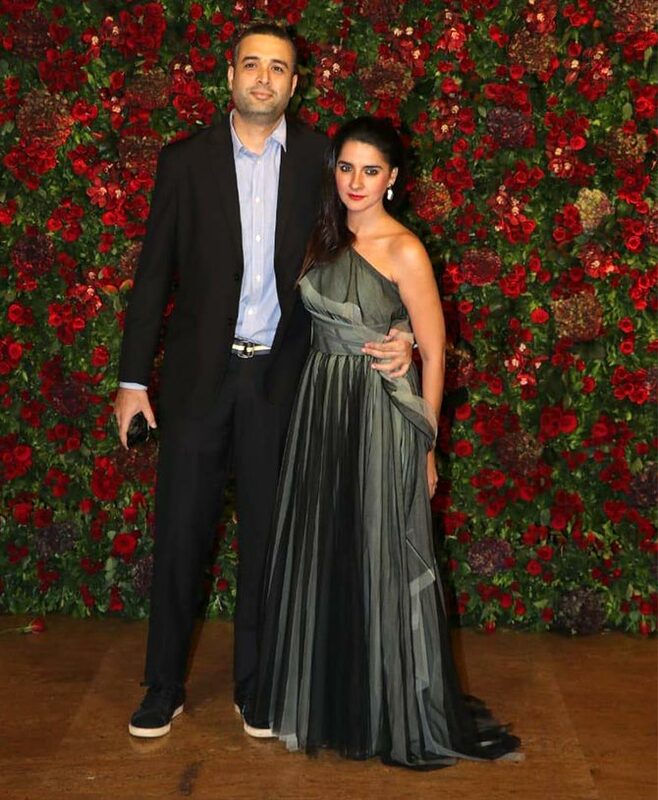 Shruti Seth and Danish Aslam. 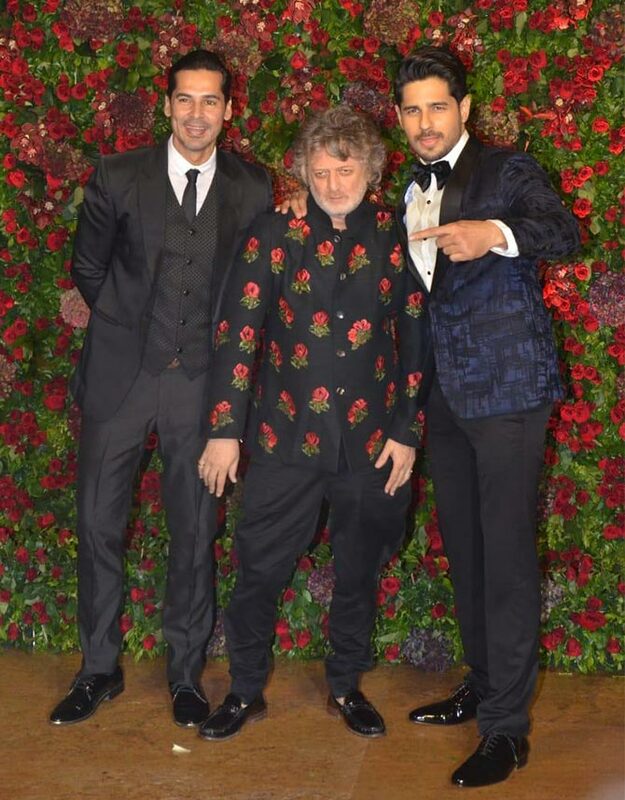 Dino Morea and Sidharth Malhotra flank designer Rohit Bal. 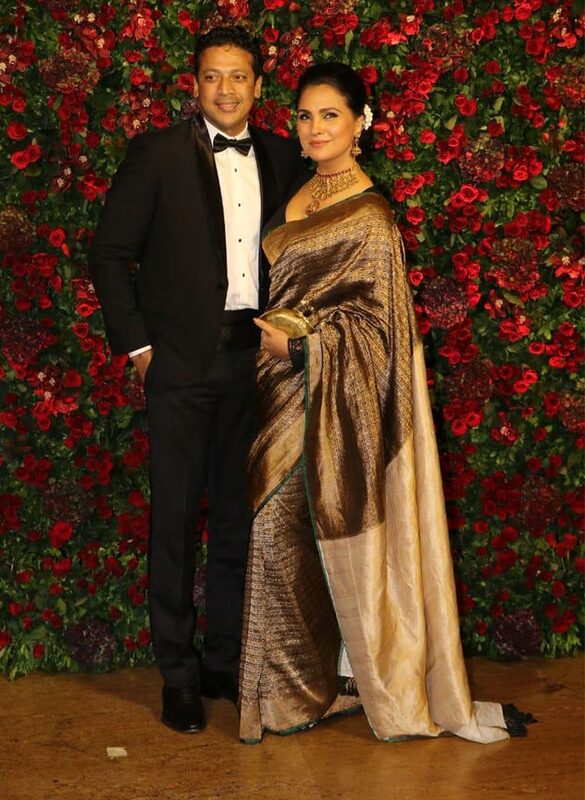 Lara Dutta with Mahesh Bhupathi. 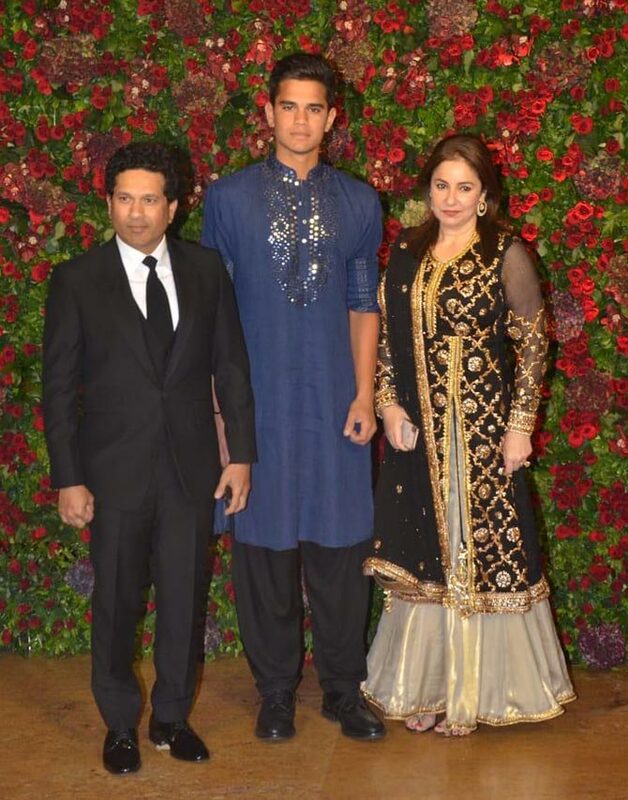 Dr Anjali Tendulkar with son Arjun and you know who! 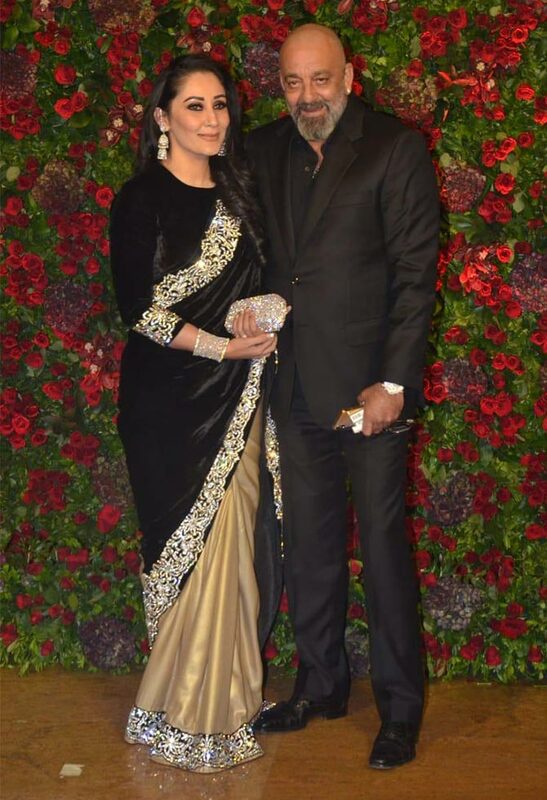 Romi Bhatia with Kapil Dev. Ranveer will play the legendary cricketer in Kabir Khan's 1983, a film on how India won the cricket World Cup for the first time. Sakshi Singh Rawat and Mahendra Singh Dhoni with Hardik Pandya. 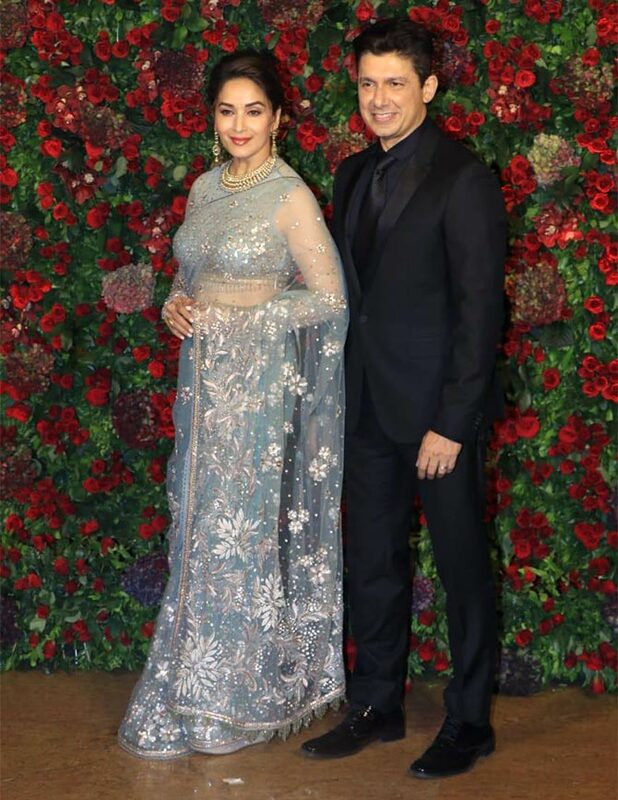 Sonam Bhattacharya and Sunil Chhetri. 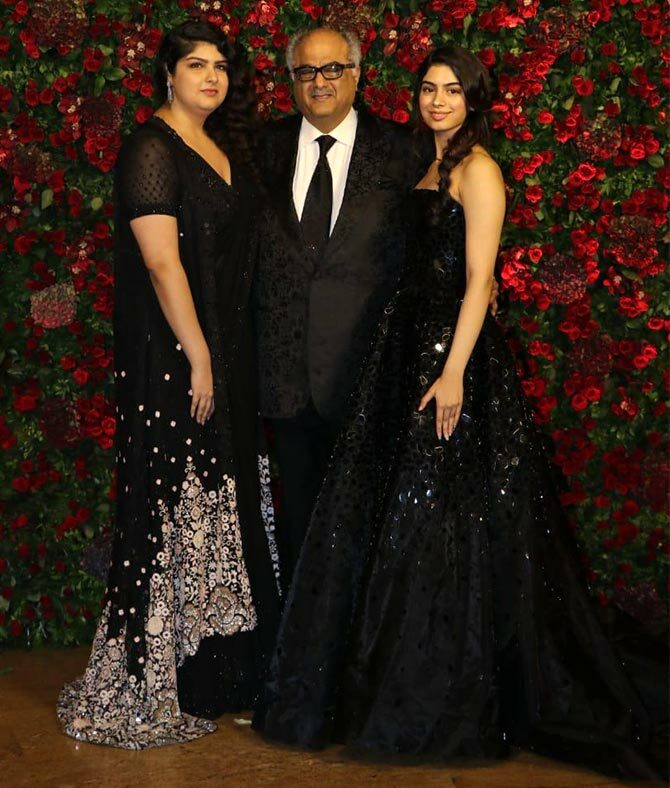 Boney Kapoor with his eldest and youngest daughters Anshula and Khushi. 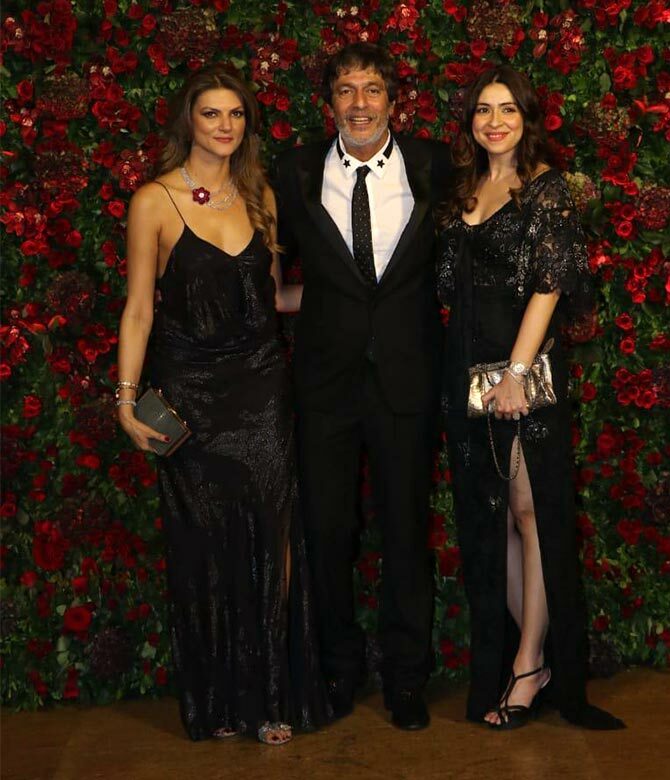 Bhavna and Chunky Pandey with Nandita Mahtani. 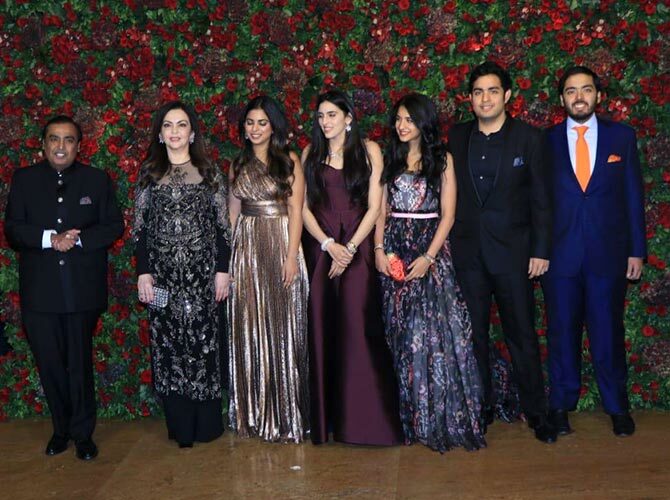 Mukesh and Nita, who flew down from Jodhpur after attending Priyanka Chopra and Nick Jonas's wedding earlier in the day, with their children, Isha, Anant and Akash. The bridal couple with all the media photographers! DeepVeer are back and they are adorable!